This historic flight that brought the team to the United Kingdom from Joint Base McGuire-Dix-Lakehurst, N.J., was a first for not only the Lightning, but the Extender as this was the KC-10’s first time refueling the F-35A, trans-continentally. 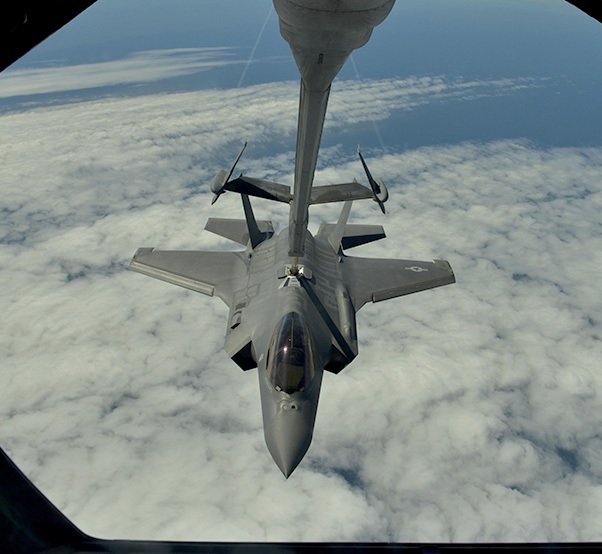 A U.S. Air Force F-35A Lightning II is refueled by a KC-10 Extender over the Atlantic Ocean on the way to Fairford, England, June 30, 2016. This flight marked the first U.S. transatlantic flight of the F-35A. The aircraft traveled to the United Kingdom in support of the Royal International Air Tattoo, the world’s largest military air show, which takes place July 14 through 16 at RAF Fairford. 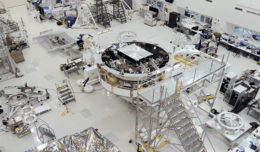 The event features joint, coalition and civilian flight teams, aerial acts and static displays. 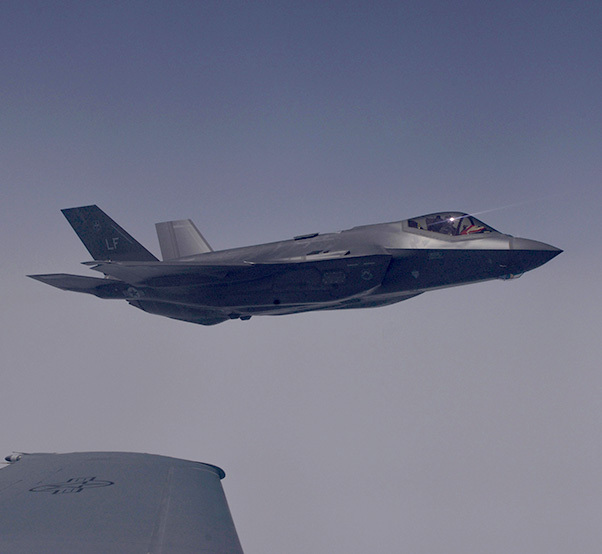 A U.S. Air Force F-35A Lightning II flies alongside a K-10 Extender over the Atlantic Ocean for the F-35A’s first transatlantic flight June 30, 2016.The Extender, which is based out of Travis Air Force Base, Calif., refueled the Lightning on its way to England for the Royal International Air Tattoo. 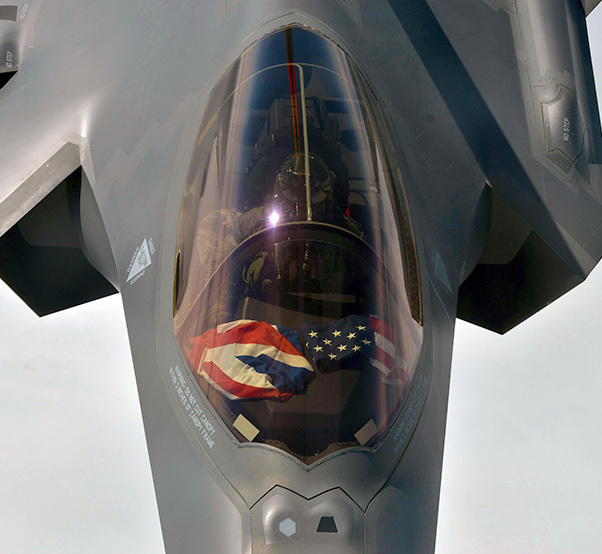 For the lead F-35A pilot, this historic flight and opportunity at RIAT not only showed the F-35A’s airpower, but the U.S. Air Force’s in general.